How can I make my Yelp business page stand out with so many other businesses on Yelp? Optimize your Yelp business page in real-time with our expert guidance to make it pop—no homework needed. Be sure to bring your laptop, tablet, or smartphone with you! Networking opportunities to connect with other great Bay Area business leaders. To attend, register and include a link to your business on Yelp so we can familiarize ourselves with what you do. Be sure to bring your laptop or mobile device! New Year, New You. Let’s start 2019 off on the right foot and make sure your Yelp page is firing on all cylinders. You and a guest are invited to Morton's Steakhouse in San Francisco for a Community Connection! This is a great opportunity to meet other Business Leaders in your community, just like yourself! This free event will be a unique opportunity to chat about ways to optimize your Yelp Business Page using the free tools available, ask questions of Yelp staff members, and meet like-minded business owners. Enjoy complimentary bites and beverages, courtesy of Morton's, (so you know it's gonna be good) with fellow business owners in the San Francisco Bay Area. Members of our San Francisco team, including other business owner mentors, will be on hand to mix, mingle and answer your burning questions about the site. Phil, from Unique Products and Promotions will be raffling off some gift baskets, as well as a dinner-for-two from Morton’s Steakhouse. Register now to enjoy a great night of networking and set yourself up for a successful year! MarketingBitz Bootcamp is coming to town on November 6th. If you're a local business leader in San Francisco, you don't want to miss this! MarketingBitz Bootcamp is an exciting, one-day digital marketing event where you'll gain meaningful insight from several industry experts including Google, Yelp, Zoho and more! Check out the incredible agenda and sign up now to get 50% off your registration fee. Simply enter the promo code YELP50 in the 'Promo Code' box below the 'Registrant Information' field - click below! Coffee, snacks, lunch & refreshments will be provided. You and a member of your team are invited to Your Restaurant On Yelp! A free, networking and educational event in your neighborhood, dedicated for local restaurant owners, operators, managers, and marketers! There will be a brief 20-30 minute presentation on the free tools that will help you make the most of your restaurant's Yelp listing, as well as ways to level up your operations and guest experience. Staff from Yelp Nowait will be there to answer questions you may have and show you how the products work to grow your revenue, improve your guest experience and optimize your waitlist. Lunch and refreshments will be provided by Richmond Republic Draught House. Our event starts promptly at 12:00pm. Enjoy lite bites and beverages from Richmond Republic Draught House and network with Yelp staff and some of the Bay Area's highest rated restauranteurs on Yelp. Matt Donzella, Manager of Business Outreach at Yelp, will talk about best practices and unique ideas for making the most out of your Yelp listing without spending any money on ads. He will be joined by Brett Evans- who will talk about how Yelp Nowait can help your restaurant attract new diners and increase waitlist conversions. You’re invited to our San Francisco Bay Area Local Business Networking Mixer and Yelp 101 Workshop on Tuesday, 10/16 2018 from 6pm-8pm at Yelp Headquarters located at 140 Montgomery Street, San Francisco, CA. This event is perfect for anyone looking to learn more about increasing their brand awareness and improving their online reputation. Meet representatives from Yelp, along with other local business owners. From restaurant owners to auto shops, ghost tour businesses and more, learn how to best utilize Yelp to bring brand awareness to your business and deal with reputation management. So let’s have fun, learn and connect with other people like you! Our Event Host - David Mitroff, Ph.D.
﻿David is the Founder and CEO of Piedmont Avenue Consulting, Inc. Davis is a sought-after speaker on a wide range of topics from social media to peak performance. Through his consulting, lectures, training and keynotes David Mitroff, Ph.D. (www.DavidMitroff.com) has educated more than 25,000 business owners. He is an Instructor for the University of California at Berkeley's International Diploma Business program and a Google Mentor for the Google Developers Launchpad program. He has been featured media expert for NBC, ABC, San Francisco Business Times, Hospitality Technology, California Lawyer, and more. 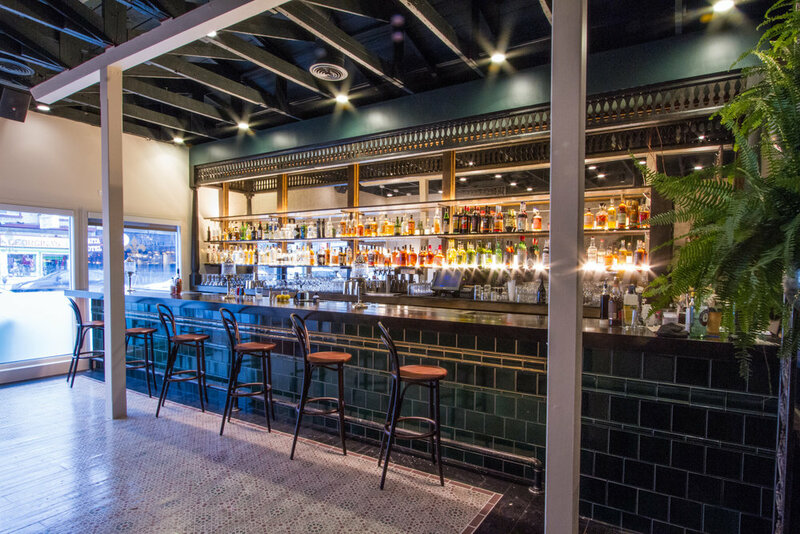 You and a guest are invited to Monroe Bar in San Francisco for a Fall Community Connection! This is a great opportunity to meet other Business Leaders in your community, just like yourself! Enjoy complimentary bites, courtesy of Upper Cut food truck with fellow business owners in the San Francisco Bay Area. Bartenders from Monroe will also be on hand to serve up some delicious cocktails! Members of our San Francisco team, including other business owner mentors, will be on hand to mix, mingle and answer your burning questions about the site. DarnellJustin will be spinning awesome tunes from every generation, Christa from Hey! Cookie will be sharing her delicious treats with all the guests who have a sweet tooth, and Russie from New Rev Media, will have a photo station setup to take professional headshots. Nope! Just when you thought it couldn't get any better, near the end of the night, Phil from Unique Products and Promotions, will be giving away 3 "unique" gift baskets and SF Giants tickets to lucky raffle winners! Register now to enjoy a great night of networking and set yourself up for a successful holiday season! There are 2 dates to attend, choose a day and register below and include a link to your business on Yelp so we can familiarize ourselves with what you do. Bring your laptop or tablet for hands-on participation! Class Is Once Again In Session! Come enjoy the Yelp Rainbow Bazaar! We are hosting a Pride Party for Yelp employees and local business owners on June 20th. We'll be featuring local queer owned businesses. So come shop, eat, drink some bubbly, and celebrate with us. This event will include a market of queer owned businesses from Stationary Makers, Delicious Empanadas Vendors to Tasty Cookie Bakers. So bring yourself, or bring a partner, and we'll see you on June 20th! Yelp is teaming up with Lorena Zapata of Infinity Media Marketing to host a FREE educational and informative workshop on marketing your business in the Health and Medical industry more effectively. Infinity is a small team of writers, strategists, marketers, and analysts dedicated to creating the most efficient and effective marketing machine using their proprietary INFINITY Method™. They work very closely with you and your team to create a seamless process that works for YOU, not the other way around. By leveraging digital marketing tools, their aim is to increase business returns, customer leads, and retention to enhance your presence on the internet. Lorena and I will cover a variety of topics to help you effectively grow your practice’s social media presence. Register for FREE to reserve your spot and join us on Thursday, June 14th @ 10am to discuss everything from your Yelp presence to Facebook, Twitter, and making your website the most effective and up to date for practice protection. Yelp's Social Media Workshop: Lafayette CA. Help your Yelp Business Page Stand Out! Our upcoming Social Media Strategies for Local Businesses Workshop Series is held at the Lafayette Library and Learning Center’s Community Hall, 3491 Mt. Diablo Blvd., Lafayette. The Community Hall is a separate building at the corner of Mt. Diablo and 1st Street. Admission is free but space is limited so registration is requested to reserve your seat. Review tips including best practices for review response and how to gain more reviews. Step-by-step walkthrough of free business tools on Yelp. To attend, register today and include a link to your business on Yelp so we can familiarize ourselves with what you do. Bring your laptop or tablet for hands-on participation! Sandwiches, Snacks, and Drinks will be provided. You and a guest are invited to Morton's Steakhouse in San Francisco for a Spring Community Connection! This is a great opportunity to meet other Business Leaders in your community, just like yourself! Elijah Wilson from Dr. Kombucha, will be giving out free samples of his organic and 100% raw Kombucha. We will also have Molly from Madrone Acupuncture – who not only specializes in acupuncture, but massage as well. She and her staff will be on hand to give free massages and health advice. At the end of the night we will raffle off a free acupuncture and massage session! Register now to enjoy a great night of networking and set yourself up for a successful Summer! Will a little pizazz set your Yelp page apart? Absolutely! People shop with their eyes, so learn how to make your business look even better online! New Revolution Media has been kind enough to lend us their photography studio and show us how to take awesome photos! Regardless if you are using a smartphone, or an actual camera, Russie and her team will walk us through a few simple tricks for giving your business photos that wow factor. You will also have the opportunity to mix and mingle with with members of Yelp's SF team, who will be on hand to chat about ways to optimize your Yelp Business Page and use Yelp’s mobile app for business owners. Russie will talk about secrets to taking great business photos that will encourage customers to spend with you. Yelp's team will have laptops ready to help answer questions about your business page while you mix, mingle, munch & drink. So come network with other business owners, share some ideas and learn from one of the best photographers in the business. Snacks and drinks will be provided, along with a fun photo booth of course! Don't forget to bring your cameras! There are two dates to choose from, so register below and include a link to your business on Yelp so we can familiarize ourselves with what you do. Remember, be sure to bring your laptop! You and a guest are invited to Yelp HQ in San Francisco for a Community Connection and to meet the new Local Business Partner and other Business Leaders in your community! This free event will be a unique opportunity to chat about ways to optimize your Yelp Business Page using the free tools available, ask questions of Yelp staff members, and meet your new connection at Yelp. Enjoy complimentary bites and beverages with fellow business owners in the San Francisco Bay Area. Members of our San Francisco team, including other business owner mentors will be on hand to mix, mingle, and answer your burning questions about the site. There will be a photographer on site snapping free professional headshots that you can upload to your Yelp Business Page and/or website. Before Valentines Day kicks off, "Be Mine" for an evening. I hope to form a great relationship with you, as the new Local Business Partner in San Francisco! Enjoy bites and beverages with fellow business owners in the Bay Area like yourself. Register now to enjoy a great night of networking and set yourself up for success in 2018! A Bright Local study found that 91% of consumers turn to review sites to determine if a local business is a good business. As a business owner it's important you understand the value of reviews, how to respond to them, and what you can do to get more. In this webinar, we will provide tips and tricks for managing the world of online reviews and also explain Yelp’s review recommendation software. Yelp is hosting a Restaurant Resource Bash to connect restaurateurs to the platforms, companies and resource providers that help them operate and grow.